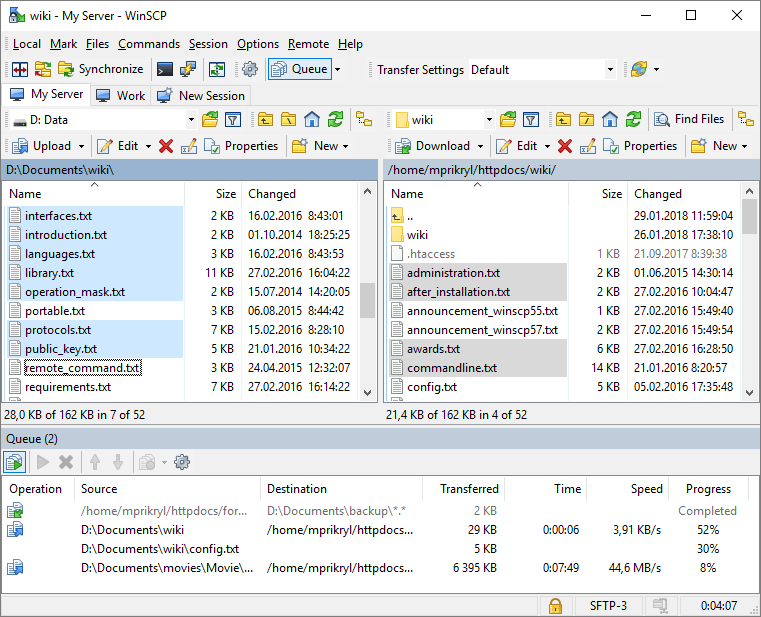 Why http://winscp.net says the latest version is 5.5.1, but here 5.1.8? works well on XP ,nice one. @linuxamp I like using Portable Apps because you can update all your apps in a few clicks and if the app is no longer natively portable (or "stealth" for example) the portable apps wrappers would handle that no problem. chris: There's no need to copy/move your external program directory within WinSCP directory. Similarly for portaputty. It then all lives on the USB-stick only! I don't see why people want to use portable wrapper versions (portableapps.com) of software which is natively portable. Unnecessary wrapper if you ask me. Alternative: WinSCP *Portable* is available from portableapps.com. "Download the "Standalone application" single EXE file to a folder of your choice. Rename the file from winscp4xx.exe to winscp.exe (less version dependent)." download the zip file of your language (e.g. German) extract that file to the same folder of winscp.exe and make sure the language file has the same name like winscp.exe. For the German file with the ending .de it must be winscp.de. You can also integrate portaPuTTY (not the same like portable PuTTY from John but better) into WinSCP and what you become is a System Administrators best friend.